You'll certainly enjoy these Halloween shows! This Halloween remember the gh'oul times with Henry Aldrich, Jack Benny, and all your friends on their Halloween radio specials. This collection is a real treat with all your favorite comedy and variety shows. You'll fall in love with this brew of classic radio specials and you'll want to play every year with your family! All the comedy ghouls are here with lots of laughs from Aldrich Family, Archie Andrews, Bergen and McCarthy, Charlotte Greenwood, Father Knows Best, Fibber McGee and Molly, Great Gildersleeve, Halls of Ivy, Jack Benny, The Nebbs, Our Miss Brooks, Jack Carson, Life of Riley, Life with Luigi, Martha Meade, and much more! There are even a few of Halloween specials from horror shows including Inner Sanctum, Quiet Please and the rare series, House of Mystery that you won't want to miss! For other fang-tastic scary compilations, you won't want to miss: Boo Broadcasts, Haunted House Collection, Halloween Scary Sampler, Horror Listener's Favorites, Monster Collection, Robots Collection, Witches, and Mystery Playhouse. 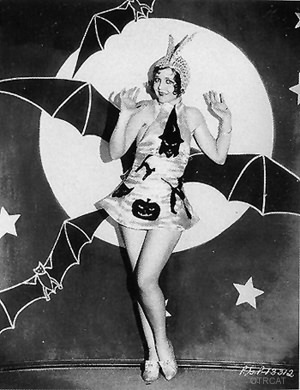 Jack Benny did some entertaining Halloween shows. I particularly remember one where he attempted to Halloween-prank Basil Rathbone. For just plain scary shows, Escape\'s \"Three Skeleton Key\" would be at the top of my list.